“Do not lose yourself in the future,” Buddhist teachings advise. “Look deeply at life as it is in this very moment.” Under most circumstances that is sound advice, but it can also be devilishly difficult to follow. It is human nature to dwell on the future, especially when the future is replete with uncertainties. So it was not long ago, when I learned that I needed minor surgery, and I met with my surgeon for a pre-op consultation. A seasoned professional in his sixties, he explained the nature of the procedure, including its history and technical details, and outlined the stages of recovery. During the first week, I would be laid up and managing pain, but by the second I would probably be feeling “fifty percent better.” By the end of the third, I might well be free of pain, though patients sometimes report “nuisance discomfort.” Six to eight weeks out, I would probably be able to resume my customary activities. It’s a myth to say that time can heal. Time cannot heal. Breathing and mindfulness can. [Long after a traumatic event happens to you], a sight, a sound, a smell, a taste, a touch can trigger the complete stress response as though it’s happening all over again . . . Through breathing, you learn to slow the stress response, the fight-flight-or-freeze response. If you can do that when going through a very intense experience, the next time you recall that trauma, you will do so with more peace, mindfulness, and clarity. Here Sister Dang is speaking of emotional trauma, but her reflections also apply to such physical traumas as surgery. Mindful breathing calms the body and steadies the mind. For many people, the practice of mindfulness has proved helpful in managing pain and promoting the process of healing. Yet it would be a mistake to presume that mindfulness alone can eliminate pain or cure a serious illness. 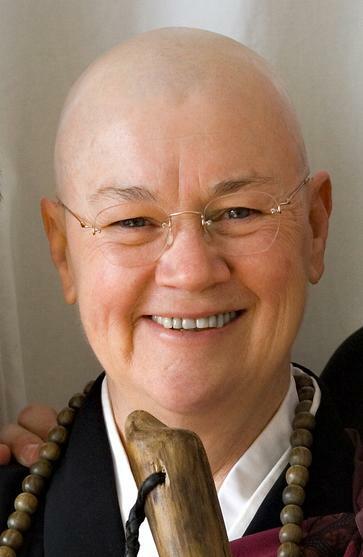 And in any event, as the Zen teacher Roshi Pat Enkyo O’Hara reminds us, meditative practice has more than comfort to offer the injured, sick, and dying. In her book Most Intimate: A Zen Approach to Life’s Challenges, Roshi O’Hara notes that the root meaning of the word healing is “making whole.” And in compelling detail, she recounts her experience of a painful and protracted illness, which robbed her of her strength and plunged her into chronic depression. Her loss of strength in particular unnerved her, because she had always thought of herself as strong and energetic. Disabled by her condition and depressed by her medication, she felt less than whole. Can we remember that pain and weakness and death are not our enemies. . . . That it is our fear and rejection of pain and weakness and death that are our enemies? That it is that rejection, that casting out, that incapacitates us and does not allow us to live life with courage and fearlessness? After a long course of treatment, Roshi O’Hara recovered. She regained her strength. Although she does not attribute her recovery solely to her meditative practice, it is clear that her “medicine” helped her endure the process of recovery and healing. And in telling her story, she offers a valuable perspective, not only for dealing with infirmity but also for meeting the world. * Roshi Pat Enkyo O’Hara, Most Intimate: A Zen Approach to Life’s Challenges (Shambhala, 2014), Kindle edition, 79.